For many countries, maritime security strategies and plans are a useful coordination device. 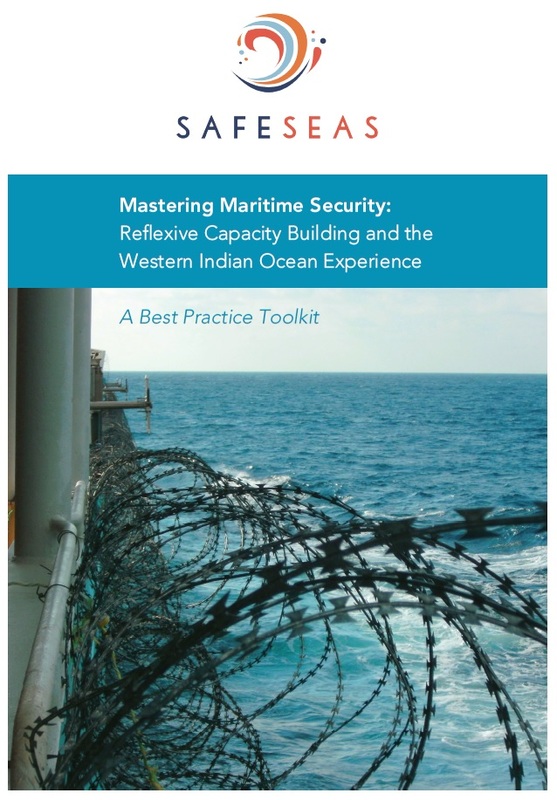 Such strategies provide overall direction and guidelines; they map agencies and accountability relations and describe maritime security governance structures and the roles and responsibilities of each agency. 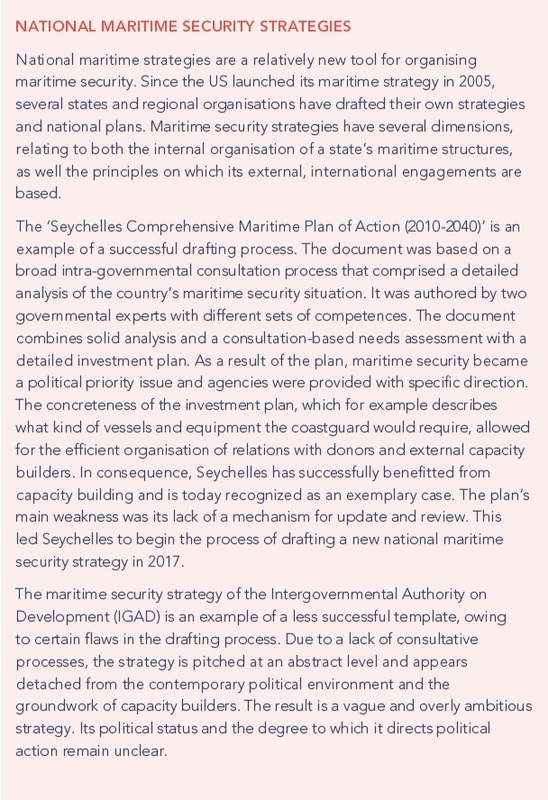 Often, as in the case of the EU Maritime Security Strategy or the Seychelles Maritime Plan (see box), they are accompanied by detailed plans of action and investment strategies. An analytical assessment of the problems a country faces, the rules and regulations it has in place and the assets it has available to deal with these. A consultation process to identify needs and working procedures between all governmental agencies involved with the maritime, as well as private users of the sea. To give the strategy legitimacy through parliamentary ratification and public dissemination. Strategies need to be concrete and problem-centred. If they are too ambitious, generic or abstract and not followed by immediate implementation initiatives, they risk becoming merely symbolic documents and failing to trigger action.